A fire truck crashed into a car while responding to a call in the Bronx, injuring five people, including three kids, according to NYPD. 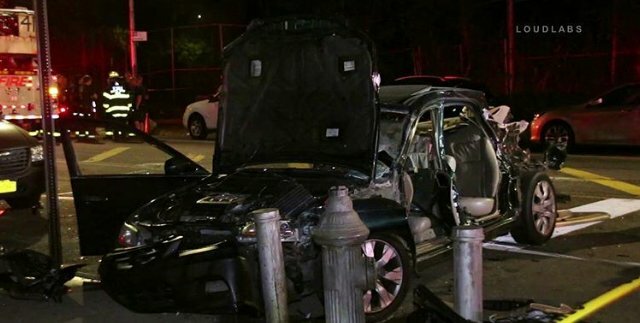 The FDNY vehicle collided with the other vehicle near the intersection of East 180th Street and Mapes Avenue in West Farms early Sunday, just after midnight. The car’s occupants — two males, ages 39 and 13, and three females, ages 38, 14 and 8 — were taken to Saint Barnabas Hospital with non-life-threatening injuries, including broken bones, police and sources told the media. Several if not all of the victims were then transferred to New York-Presbyterian Hospital, the source said.